Blow up your pre-event promotions like a big balloon when you print Happy Birthday Chevron Postcards and send them out to your guest list in advance. 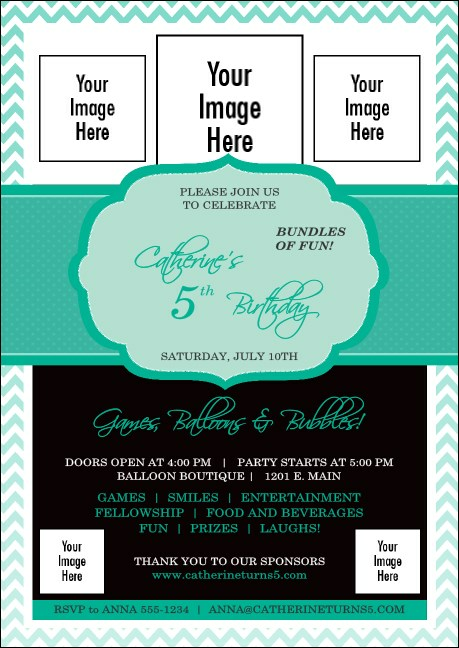 Watch the RSVPs start stacking up with Postcards that feature up to five personal image uploads to the template on a beautiful turquoise background design. Party promotions never looked so good at TicketPrinting.com.